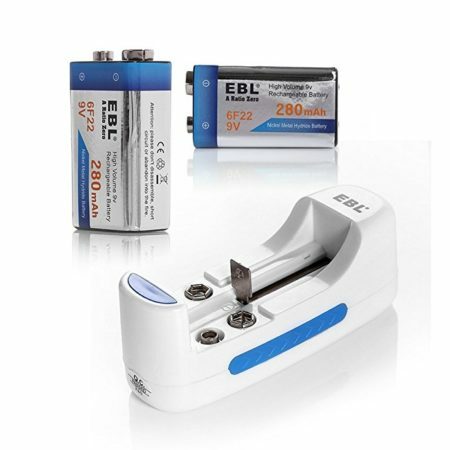 Battery type: 6F22 9V 600mAh rechargeable li-ion batteries. 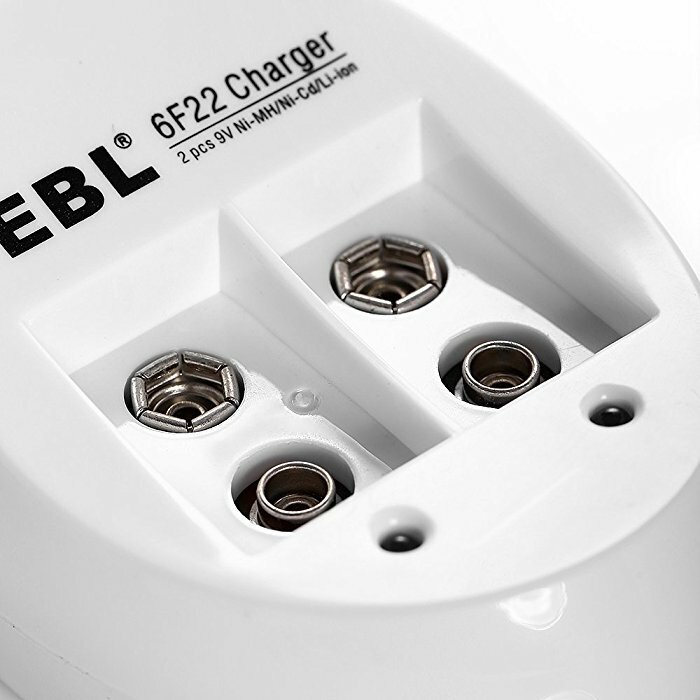 With 2 charging slots, this charger can charge 1 to 2 pieces of 9V lithium, Ni-MH, Ni-Cd batteries. The high quality rechargeable 9V batteries are ideal for smoke alarms, professional audio and medical devices. 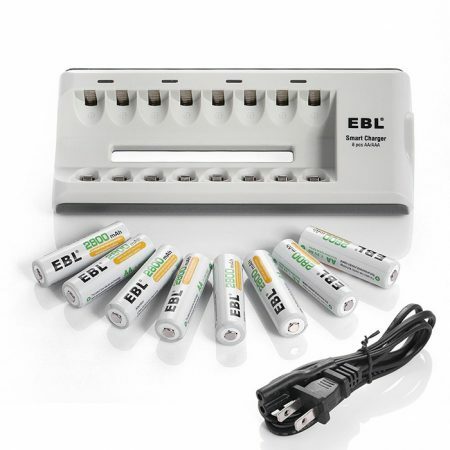 The 9V batteries can be recharged conveniently without memory effect. The batteries can hold about 75% capacity for over 3 years’ storage due to the low self discharge rate. 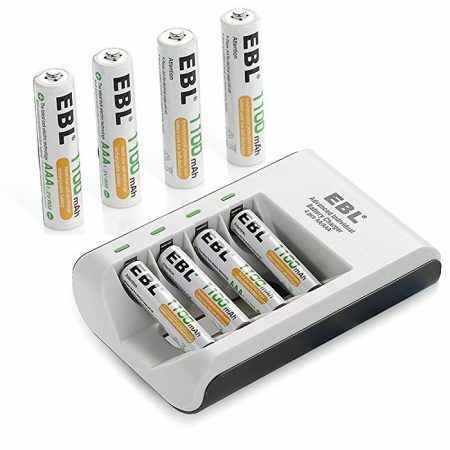 The EBL series universal batteries are widely used in most household devices. 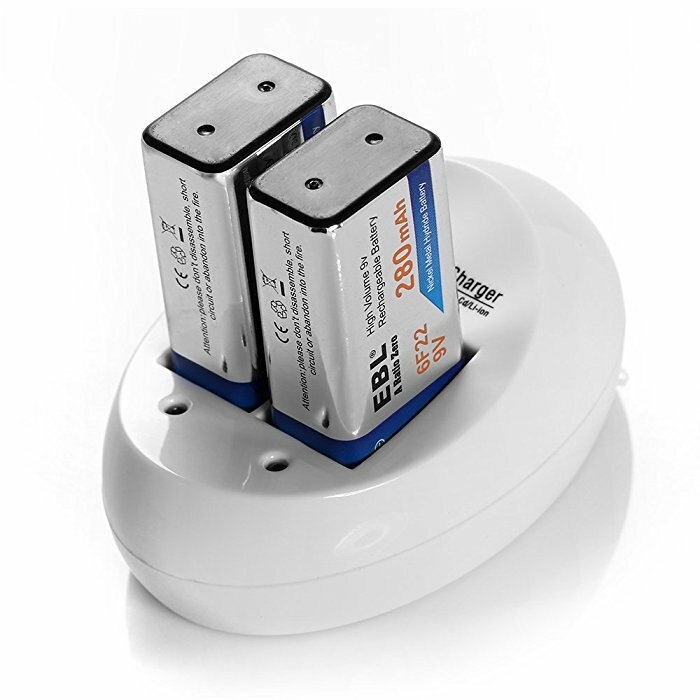 These 2 pieces of 9V batteries are certified by CE and RoHS for the quality and efficiency. 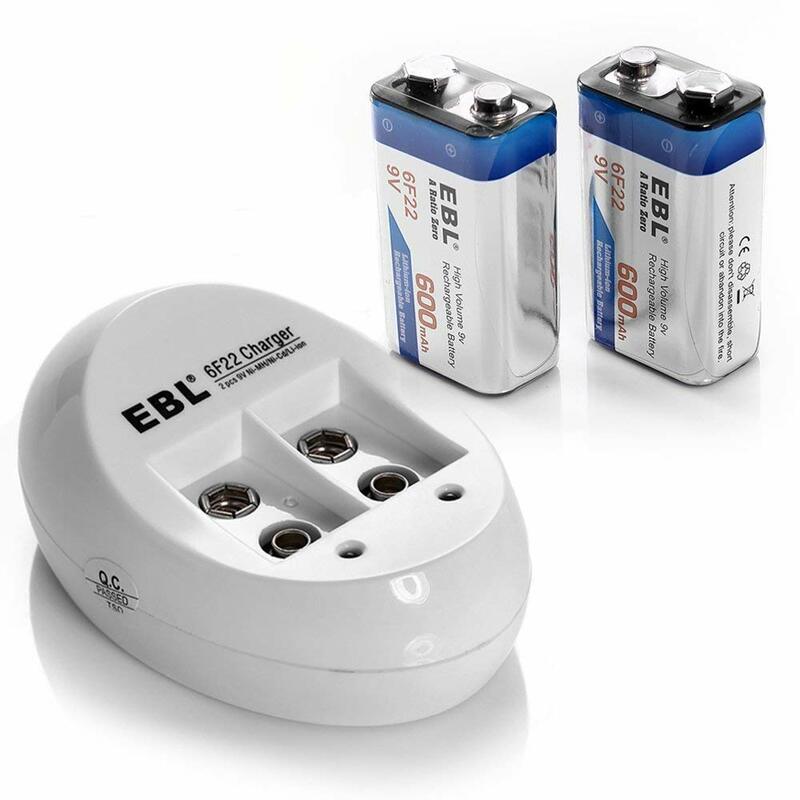 The smart charger for rechargeable 9V batteries meets the safety standards of household battery charger with 100-240V worldwide voltage. 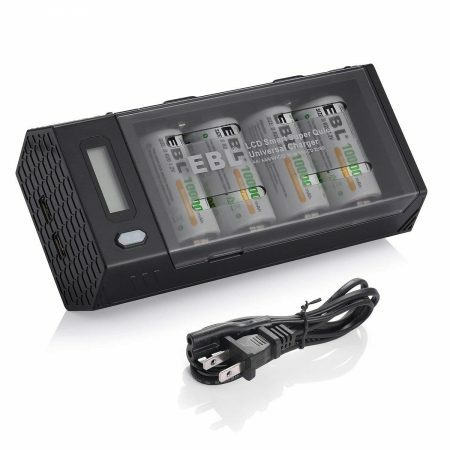 It has intelligent built-in protection to safeguard your rechargeable batteries. 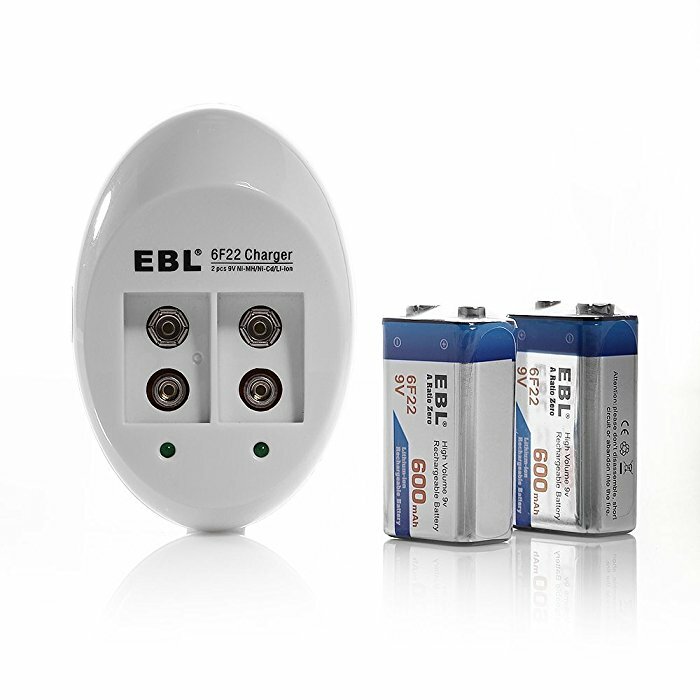 This EBL charger can charge 2 pieces of 9V Lithium, Ni-MH, Ni-CD batteries. 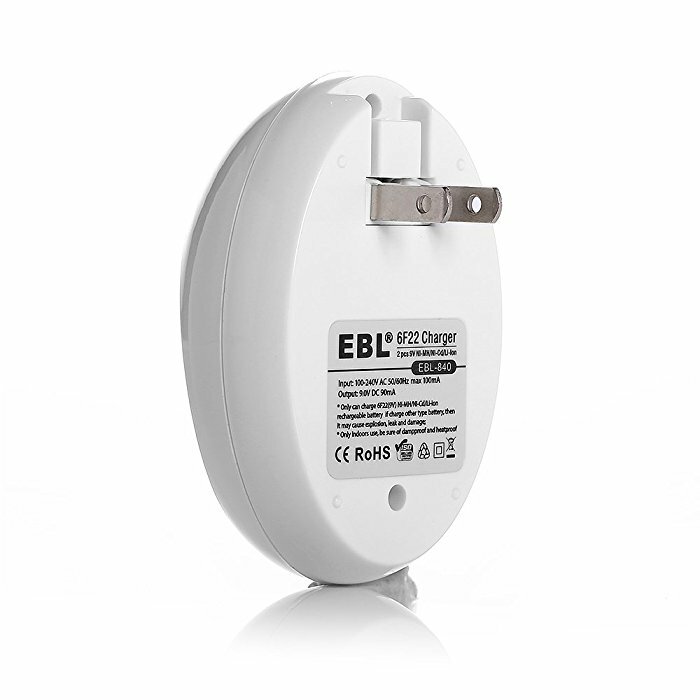 The charger provides the constant current and voltage safety mode by its MCU control technology. Indicator light turns green when the battery voltage reaches 4.1V-4.2V for the purpose of over voltage warming. 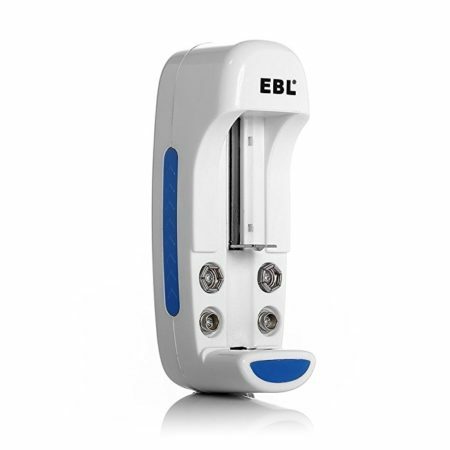 The EBL 9V battery has 600mAh capacity. The battery can be recharged for over 1,200 times. 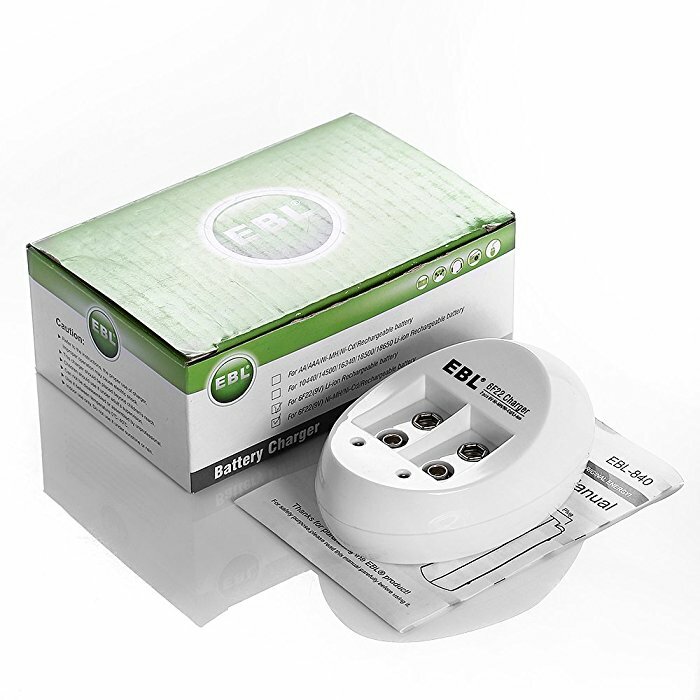 The useful 9V batteries are perfect for smoke alarms, professional audio and medical devices.